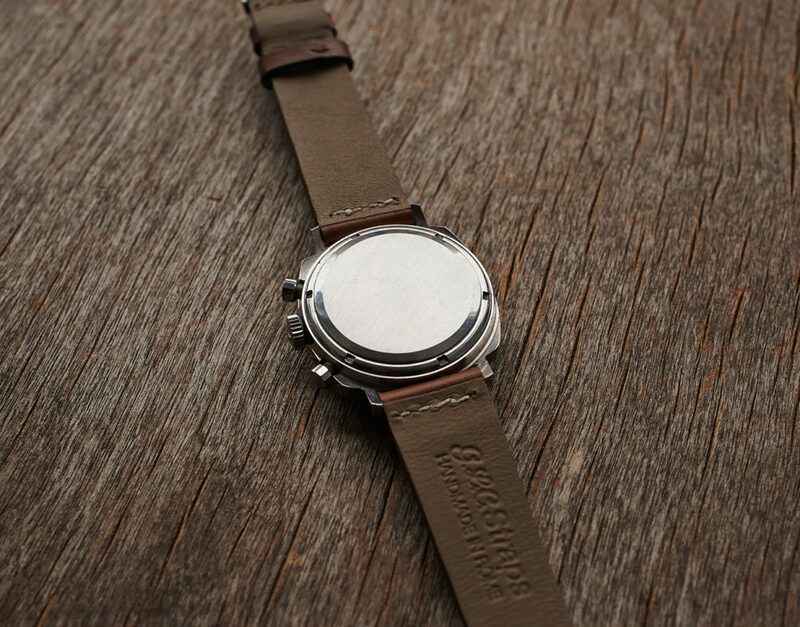 Unpolished case with original sunburst finish and clearly readable numbers between the lugs. 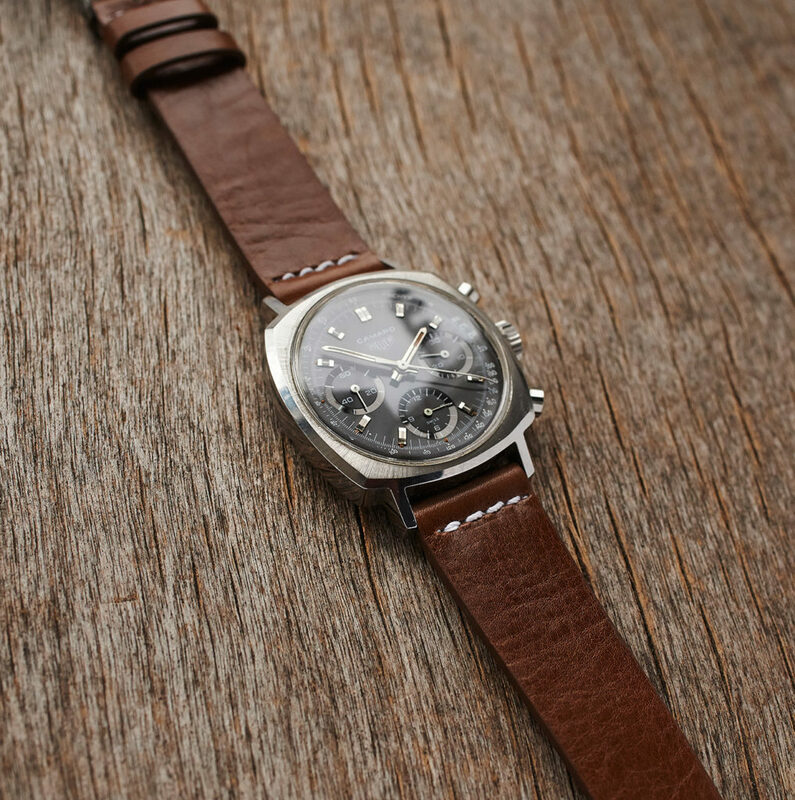 The black dial is slightly fading into a beautiful browntone and lume on dial and in hands is still the original one. 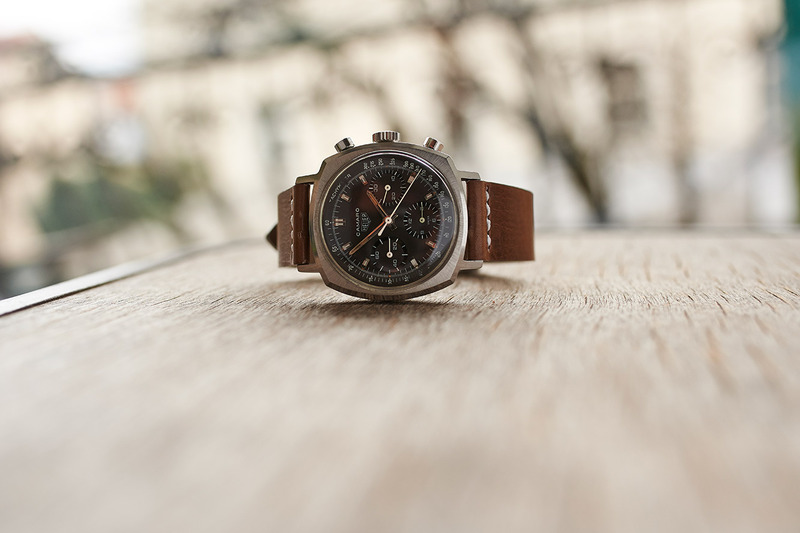 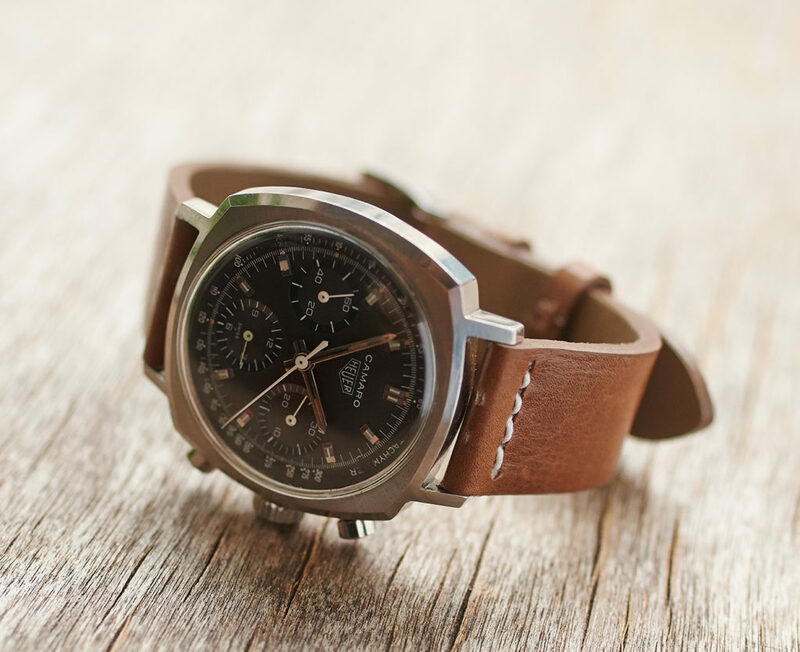 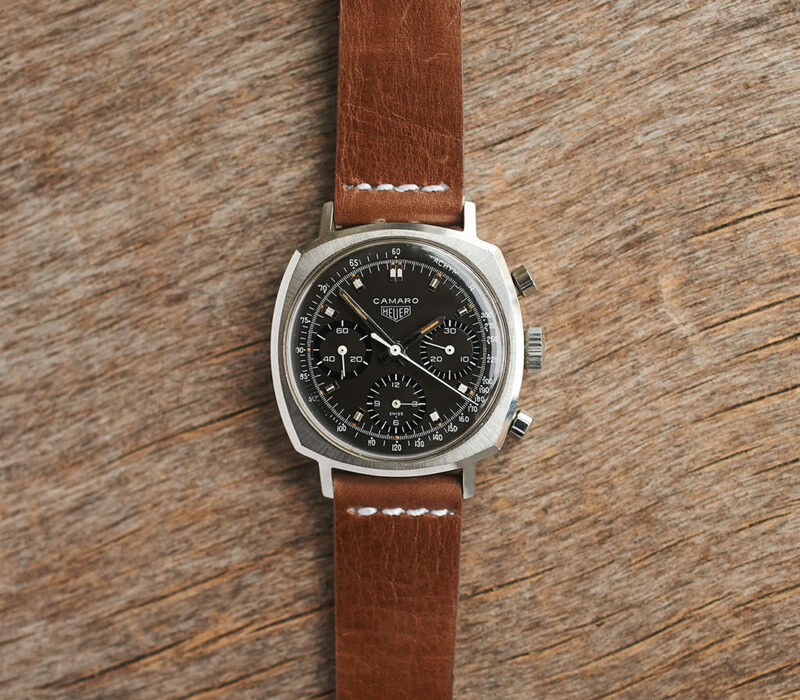 The watch comes on a brown leather-strap. 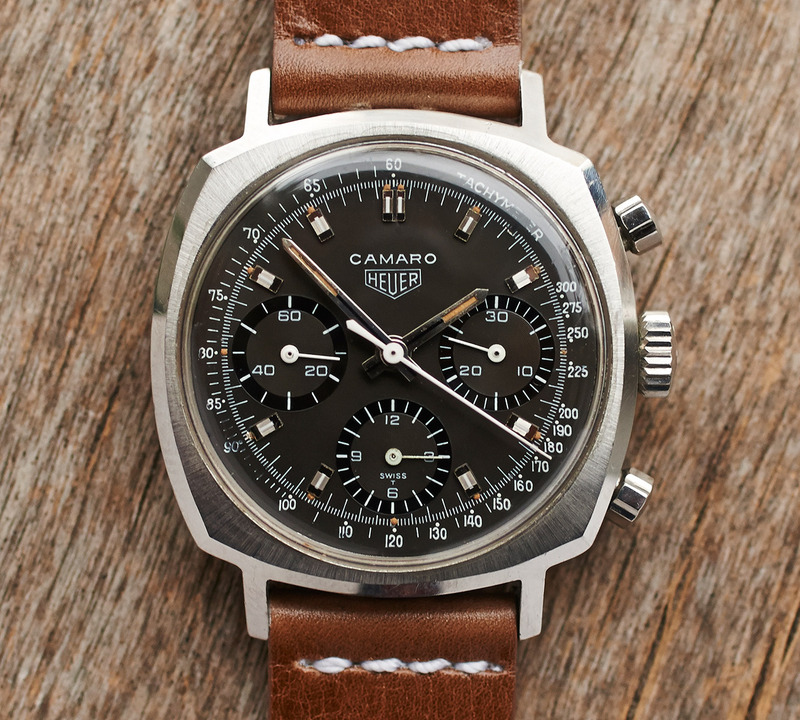 The Heuer Leonidas signed Valjoux 72 was checked in all functions and is running perfectly.